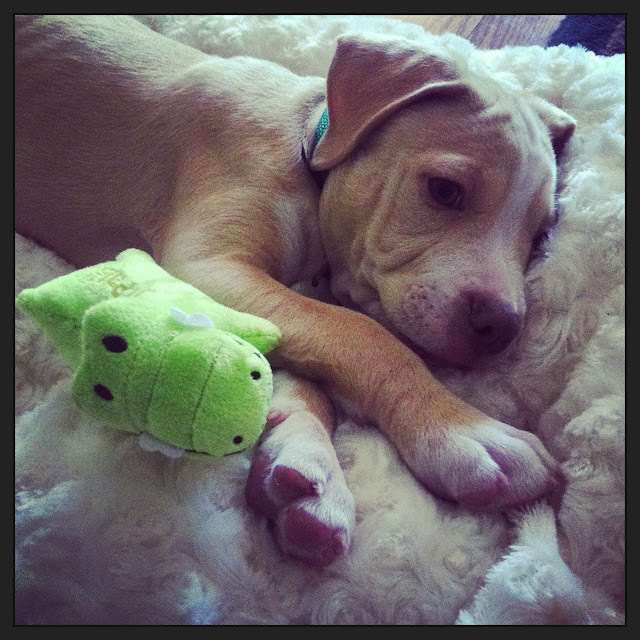 I would like to introduce Finn; my new pitbull terrier puppy! I rescued him from the humane society yesterday, and I am in love. He is the sweetest lil guy and for puppy, is pretty well behaved! I hope you all find him as cute as I do!